ABOUT THE BOOK: Faith in God can be exciting, daring, and fun. 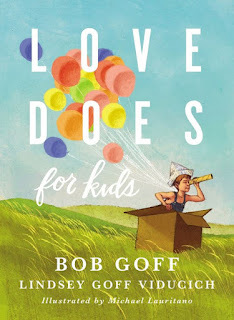 Love Does for Kids, the follow up to Bob Goff’s New York Times bestselling Love Does, shares some of the Goff family’s wild adventures--from holding a neighborhood parade to writing presidents from around the world. 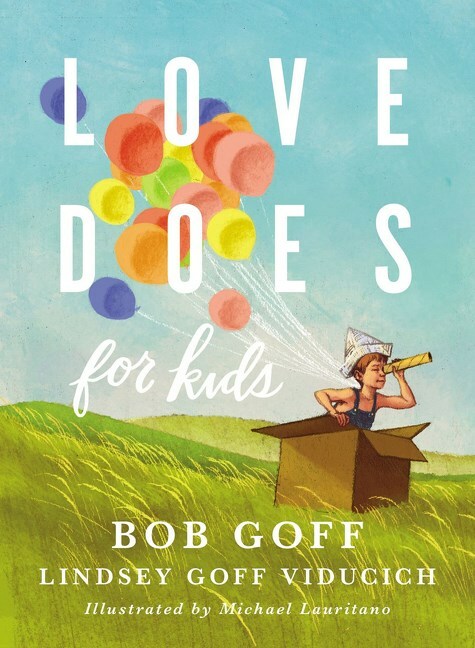 Children will laugh, dream, and be inspired to make a difference for God as they read these faith adventures from Bob and his daughter, Lindsey. This devotional book does still offer some pictures here and there but there definitely is more words per page and this will take a little bit longer than some of the other devotionals I have reviewed. It is about 3 total pages of words! I think it is just the right amount for any 10-13 year old. This devotional is built by more stories that incorporate Jesus but not much scripture reference at all. I find that I always want my kids to have the words of TRUTH with real scriptures scattered across the pages. So I am not a huge fan of the way this one was written. It would be a good challenge for older kids to find a scripture to incorporate into this devotional which would get them in the word!